We've developed a system which we use for all charity auctions and have found this way to be the most successful. With your input combined with our experience, we'll supply memorabilia that will work best for you. All items are given to you on consignment at a 20% discount from our regular retail pricing. We suggest that you set the starting bid slightly above that price, so once the first bid is made, the charity has instantly made money. If any items do not get bid on, which is rare, you do not pay for them - you have no risk! You may ask yourself "Why should I pay for items when other items are sometimes donated?" The items we make available are not the types that are usually donated for auctions. Ours are some of the most desired auction items in the country and tend to produce a strong emotional response in bidders, often bringing bids far in excess of retail value, especially since the bidder knows that the money is going to a good cause. The charity can easily make hundreds of dollars off just an item or two of ours compared to ten or twenty dollars off a less valuable donated item that draws less attention. We've been affiliated with auctions that routinely surpass $25,000, including a recent JDRF Gala which surpassed $2,000,000 in less than 4 hours!!! "I work with numerous charities, and we've raised thousands of dollars. Their system works great-there is no risk. Sure you have to pay for the items, but they draw much higher bids than the typical donated items." "Field of Dreams is without question, a prominent supporter in our quest to fund cutting-edge research to cure juvenile diabetes. As one of the nation's premier black-tie million dollar galas, our guests demand exceptional, collector quality in the items in our auctions, and Field of Dreams items wow us every year and our guests clamor to bid on them." "We've been working with them for years. Their items always present incredibly well and sell for huge premiums." 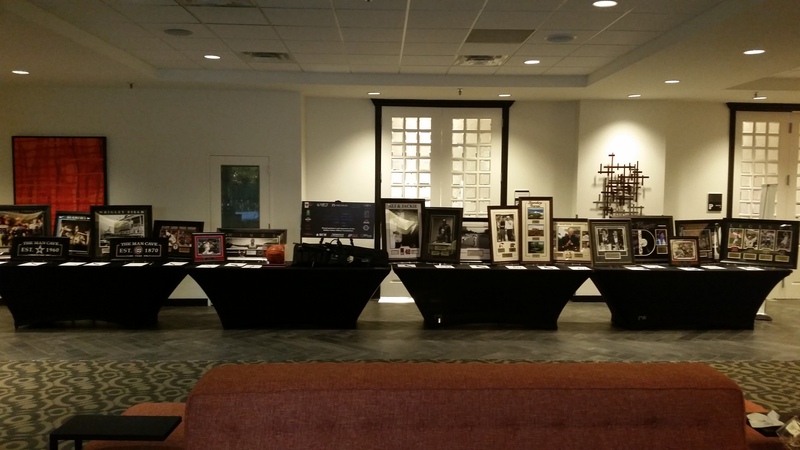 "With the help of two dozen items from Field of Dreams we raised more than $200,000 in this year's silent and live auctions."